In today’s job market, writing a great CV can be a tough challenge for any job seeker. There are millions of job seekers who are looking to get into a job market that appears full. Essentially, your CV is a statement claiming ‘This is who I am!’ The truth is, a recruiter or employer has less than a minute to decide whether they will select your application or not. While this is worrying, there are proven tactics we have gathered from our professional CV writers, which will help your CV be effective. Your CV should be professional, short, and straight to the point. I have seen professionals with less than two years’ experience who send a 10 page CV. Truth is, the recruiter wants to assess if you’re right for the job, they’re not interested in your whole life story. A sure way to get your CV rejected is by filling it with a lot of irrelevant information. A great CV should be short, punchy, and straight to the point. Save those lengthy details for the interview. Most professionals are guilty of this –using one generic CV to apply for a dozen jobs. It might seem like you’re increasing your odds, but you’re actually ruining your chances. 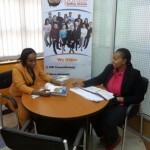 Previously, I have spoken with Ms. Prisca, a recruitment manager. She says she can almost always tell a tailored CV form a generic one. Once a recruiter suspects your CV is generic, your application is rejected. Take a few minutes to tailor your CV with each application. Use the relevant keywords to increase your chances of getting a job. The career objective links your experience to the interest of the job. Do not just assume the employer will make this connection. Use the career objective segment to briefly explain to the recruiter or employer why you are best suited to get the job. The same should be reflected in your cover letter. This may sound like a dull and interesting secret, but there is power in listing and quantifying your achievements. Take two CVs for example. If one reads ‘increased sales.’ and a second one reads ‘increased sales by 70% over a period of 6 months.’ the employer will obviously go with the second example. Include numbers in everything that could add value to your application. However, do not lie or make up numbers. Remember the recruiting officer will run a background check, if they find out you lied, you’ll be dismissed immediately. Fact is, we’re living in an age where image is everything. When drafting your CV, it is important to focus on the content above all else. However, you should not neglect the aesthetic appeal of your CV. Use short sentences, bullet points, and numbers to make your CV neat. Additionally, use categories and subheadings to make your work stand out. A great CV will open doors for you. Great and informative advice,Ruoro.I’ve learnt something very important. We’re glad to see the impact and positive feedback.